Many people think they have installed their child safety seat correctly and believe they are using it properly. However, as many as 73 percent of child safety seats are improperly installed or accidentally misused. “Even if you read all the instructions, you can still make a mistake,” says Deanna Shisslak, parenting education manager with LVHN. For peace of mind and safety assurance, have a certified technician inspect your child’s car seat. In the Lehigh Valley, free car seat safety checks are regularly available by appointment. Call 888-402-LVHN (5846) to schedule. In other areas, visit NHTSA.gov/carseat and enter your location to find a car seat inspection station near you. Most car seat checks are free of charge. Kids between the ages of 4-8 years who have outgrown their child safety seat still need a booster seat. Don’t skip this important step. Your child is unlikely to be ready for an adult shoulder and lap belt until they are 4' 9" in height. “A booster seat is necessary if the shoulder strap of the seat belt crosses your child’s neck rather than his or her chest and the lap belt crosses the stomach rather than the hips or upper thighs,” says Shisslak. Booster seats put your child in the right position for the best protection from your seat belt system. Although air bags can save adult lives, they can be dangerous for children. It is recommended that all children ages 12 and under ride in the rear seat. The best place for small children riding in vehicles is the rear seat, away from the impact of head-on crashes and deployed air bags. “If your older child must ride in the front seat, move the seat as far back as possible, away from the air bag,” Shisslak says. Whenever you drive or ride as a passenger in a vehicle, show your children (or grandchildren) that you also buckle up on every ride. “Wearing your seat belt will help protect you and will be a lasting reminder for your family that you take vehicle safety seriously,” Shisslak says. 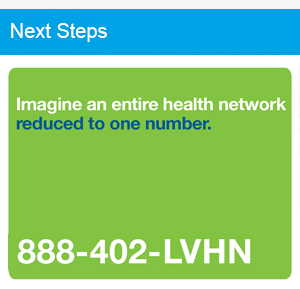 Visit LVHN.org/LVCH to learn more about how Lehigh Valley Health Network cares for children and to find a doctor in our network. 1Durbin, D. R. (2011). Technical report—Child passenger safety. Pediatrics, 127(4). Advance online publication. doi:10.1542/peds.2011-0215. 2Arbogast KB, Jermakian JS, Kallan MJ, Durbin DR. Effectiveness of belt positioning booster seats: an updated assessment. Pediatrics 2009;124;1281–6. 3National Highway Traffic Safety Administration. Traffic safety facts, 2015 data: occupant protection. Washington, DC: US Department of Transportation, National Highway Traffic Safety Administration; 2017. Available at https://crashstats.nhtsa.dot.gov/Api/Public/ViewPublication/812374.